I know. I know. I missed Mitzi Monday. But I thought Serious Saturday had given everyone enough about me for a couple of days. So here I am…writing about ME!! Or rather something I’ve done. Look to the left of this post and you will see the cover (clicking will take you directly to the Amazon page) of my first novel-length book. It’s a paranormal romance starring werewolves and real wolves, in fact a fictional wolf sanctuary. I’ve always been fascinated by wolves and the more I learned about them, the more I learned how man has misinterpreted wolf behavior. From that thought it was a short trip to this one: If we misinterpreted wolf behavior, what about werewolf behavior. Historically the werewolf legend has been around as long as man has told fables. In time the transformation of a human to an animal was used to explain some supposedly nonhuman behavior, such as murder and cannibalism of the victims. Fables grew about The Big Bad Wolf and the werewolf. 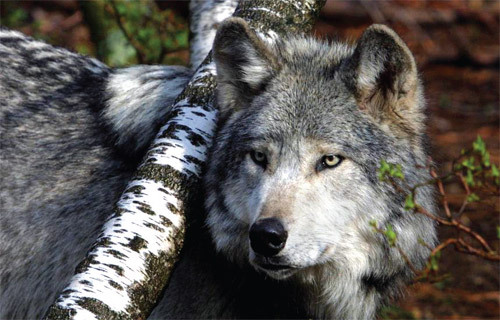 Wolves are endangered but help maintain the balance of nature. Because I believe so much in their preservation, I will donate part of the proceeds for the sale of this book to The Lakota Wolf Preserve in northern New Jersey and The Wolf Sanctuary of Pennsylvania. I want to thank my daughter, Heather Flyte, for all the work she did to make one of my dreams a reality. I also want to thank my husband, for sticking by a cranky old lady. I learned the business and the craft through three groups of writers: The Greater Lehigh Valley Writers Group, Romance Writers of America, and my local chapter, Pocono Lehigh Romance Writers. I’m not finished writing, of course. I have my nursing memoir, Just a Nurse, to complete, my collection of dark short stories to publish and, of course, my paranormal mystery series, Elizabeth Peacock and the.... And that will be just in the next few months.